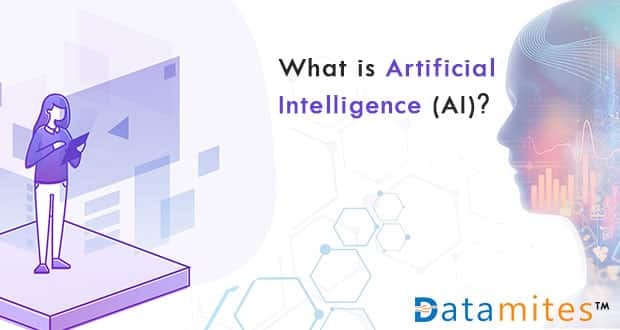 “Artificial Intelligence (AI)” is a powerful word that has been uttered frequently in the technology space and also its recent advances have spurred heat waves across the world. Is our science fiction novel coming alive? Or the Robot 2.0 reloaded is coming to save us? It is true that AI products are slowly entering our workplaces and homes, but that should not infiltrate a fear of robots taking over humans. We need to shift our focus from using AI to introduce robotic home gadgets to process optimization and automation to solve the world’s real problems. There are tons of stories in internet talking about how AI-based systems are taking over the jobs of humans and making them redundant, but the truth is AI is transforming our lives better and is only scaling the human mind and not replacing it. Though we have seen a few uses of AI in improving health care and e-commerce, there is still an excellent possibility of exploring this untapped resource. The past few years have brought great fortune to AI, and many companies have started harnessing its power and are much more serious about it. 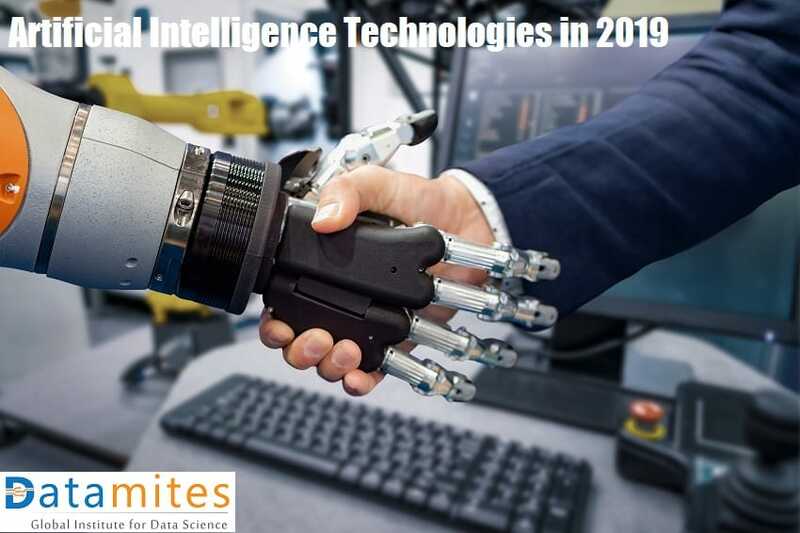 So, rethink and reinvent with AI as the best breed of technologies are going to land in the year 2019. We are surrounded by millions and millions of data which can be processed only by computers. When these data are converted into natural language texts with the help of AI, then it enables computers to communicate the ideas with perfect accuracy. Just like a human analyst who looks at the data and presents it in a story form, computers will turn the data into an easy-to-read language. In simple words, Data goes inside, and language comes out. Big organizations are adopting to NLG and are using in customer service to generate reports and narratives with the help of companies like Cambridge Semantics, SAS, Attivio, and Narrative Science. Just a few years before, you might be wondering how a machine can understand your voice and bring the results. With the invention of Speech recognition, we keep hearing voices of Alexa, Siri or Google assistant every day. More and more voice recognition systems are created and are continuously developed so that their inability to capture few words due to variations of pronunciation can be evaded completely. We can soon experience more systems entering the market that can easily transcribe the human language as well as can easily reach to people through interactive voice systems. Companies which have started offering speech recognition services are Nuance Communications, NICE, Verint Systems, and OpenText. A computer program capable of interacting effectively with humans and solving their queries is called a Virtual agent. The favorite example that we can say for a Virtual agent is chatbots. Currently, virtual agents are used in customer service and support and as a smart home manager. It uses Machine learning to process the data from loads of articles and provides accurate and reliable solutions immediately. So, are you ready to say wave your hand to a virtual agent? Some of the companies offering Virtual agents are Creative Virtual, Google, Apple, Amazon, Microsoft, and IBM. 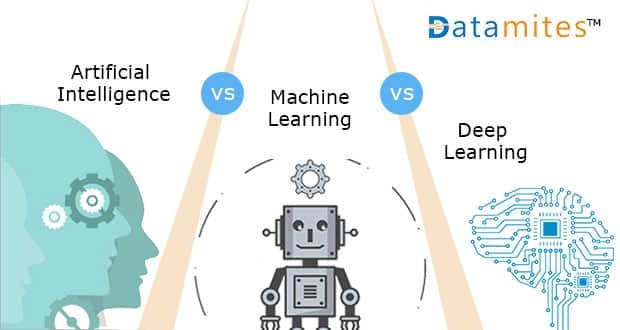 Machine Learning is the subfield of Artificial Intelligence which develops techniques that allow the machines to learn by itself. Machine Learning platforms are now immensely popular, and they are currently used for prediction and classification. Some of the companies into selling ML platforms are Fractal Analytics, Amazon, H2O, Adext, and Google. Adext AI is particularly important because this tool applies AI and machine learning techniques to the digital advertising to bring more profitable audience or demographic group for a particular ad. Pretty much every smartphone use your fingerprints and face as a key to unlock, but it is essential to concentrate on some more biometric for a secure, faster and a better experience. Isn’t it? When a technology identifies, measures and analyses your behavior, wouldn’t it be easier for it to make natural interactions? If Interactions based on touch, speech, image, and body language recognition are does effectively then it is going to create a huge difference. The companies working in developing biometric-based applications are Affectiva, 3VR, FaceFirst, Agnitio, and Sensory. When we need to execute AI tasks, it is necessary to have CPUs and processing devices structured to support this. AI technology is transforming the hardware components of a computer into a user-friendly if you have not heard about them, not to worry as there will be a ubiquitous presence soon. AI optimized silicon chips that can be fitted to any of your devices are getting ready at a fast pace. Some of the companies into this AI optimized hardware creation is Intel, Cray, Google, Alluviate, IBM, and Nvidia. The changing business environment demands faster and more reliant development. Wouldnt it be helpful if you execute automated decisions pretty fast at this scenario? It sure does. When machines start introducing rules and logic to AI systems, it will help the organization considerably in their initial setup process, an ongoing maintenance process and systems tuning. Some of the companies into this business is Advanced Systems Concepts, Pegasystems, Informatica, Maana, and UiPath. Cyber Defence, as we all know is the defense mechanism focusing on preventing, detecting and fixing the threats or attacks to infrastructure and information. Since the digital world is bringing in more threats, it is essential to look at effective ways to handle them. AI and ML have entered this world and is in evolutionary phase to uncover suspicious activity and prevent them from happening. There has been a total of over 2 billion breaches recorded in the year 2017, and it is only going to increase in the coming years. If AI is not effectively used in Cyber defense, then the damage caused will be unimaginable. Cylance, a startup is effectively applying AI algorithm to stop malware and mitigate damage from zero-day attacks. Another startup Darktrace is pairing behavioral analytics with advanced mathematics to detect any abnormal behavior automatically within organizations. Deep Learning is the subset of ML which in turn is the subset of AI. Similar to ML platforms, Deep Learning platforms are being developed and are currently used to recognize the patterns and classify all the applications that are only compatible with large-scale data sets. Deep Learning mimics our human brain and has complicated neural circuits that process data and create patterns for decision making. Some of the companies dwelling in Deep Learning options are Fluid AI, Deep Instinct, Ersatz Labs, Peltarion, MathWorks and Saffron Technology. 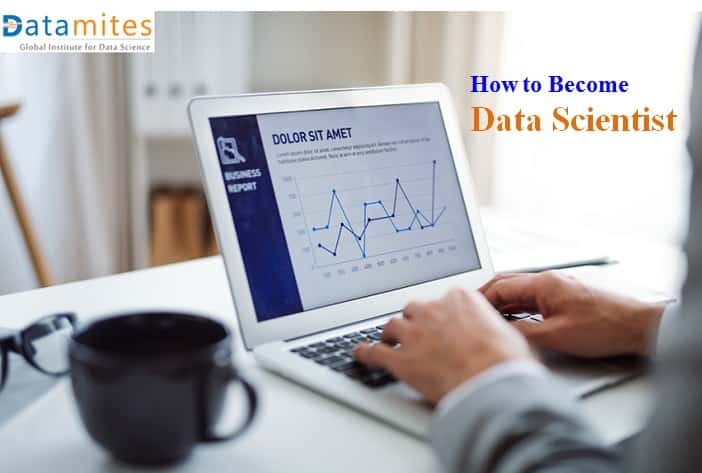 Think of a scenario where you hire a professional and pay a hefty amount for a specific job that can be easily performed at a low cost by inheriting Robotic Process Automation. Certain Specific human tasks or jobs that are either expensive or inefficient can be replaced with scripts and methods that mimic and automate humans. A notable example is Adext AI, which automates mechanical and repetitive tasks in the digital advertising process. Few more trending AI technologies are Emotion Recognition, Peer-to-Peer Networks, Automatic Content Creation, Automation of knowledge work, Compliance solutions, Digital Twin/AI Modeling, Text Analytics & NLP (Natural Language Processing. It’s not an easy task to affirm how fast AI technologies will manifest in 2019 and what we have discussed here is only a handful of its implications but the list is never-ending. Hence, the new AI advancements and infrastructure that await us shortly would transform the way we think and work. Why should one take up Artificial Intelligence (AI) career? If you are one among the professionals who are worrying that you can’t beat the robots, then it is better to join hands with them. Why because? It is expected that automation goes hand in hand with the future of work. We all keep thinking that we are going to lose jobs to automation but there is another side to the story, so what is it? This technology will open doors for a more skilled workforce and create more jobs as it develops. 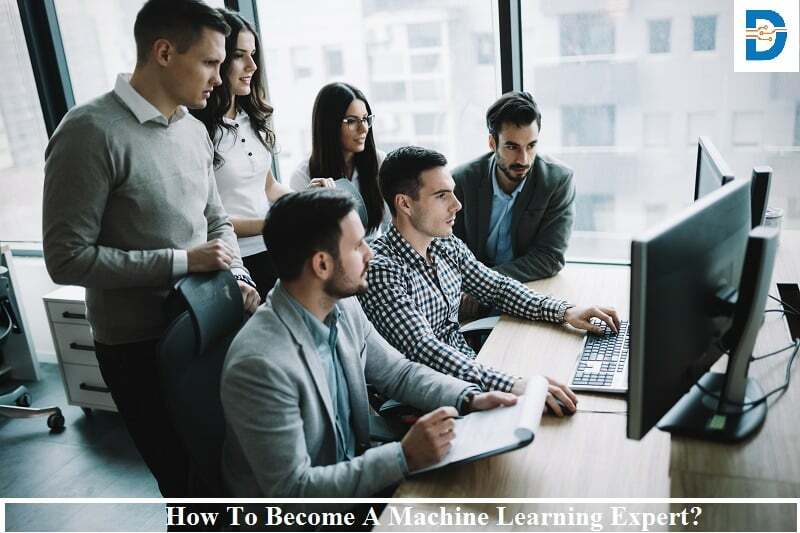 Jobs in automation, AI and its allied technologies have already started booming, and it is the right time to upskill your AI knowledge with a proper course. As we enter the future of work, there is a combination of roles at various levels of expertise in AI. For the next generation of intelligent products, you need specialists who are ready to perform large-scale deep-learning kinds of stuff. 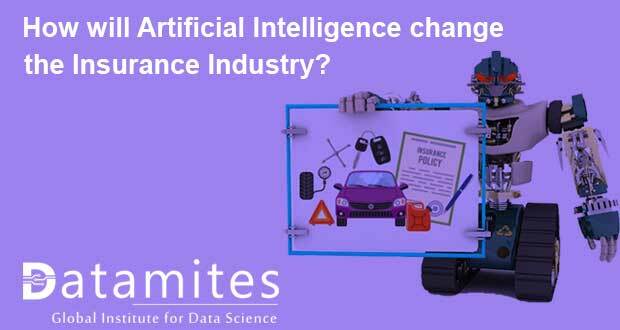 Previous: How will Artificial Intelligence Change the Insurance Industry? 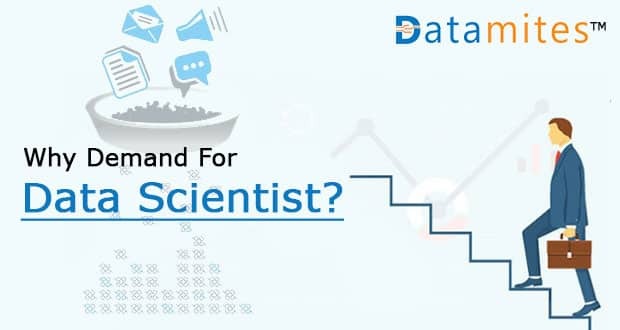 Next: How To Become A Data Scientist?